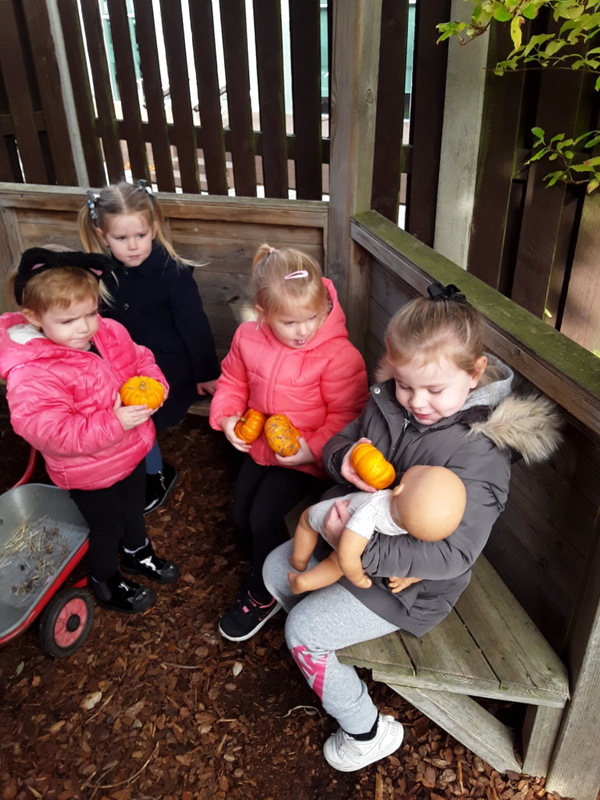 We are fortunate to have a spacious outdoor area, complete with a woodland adventure trail and vegetable patch, where the children can learn about growth and how to look after flowers and vegetables. 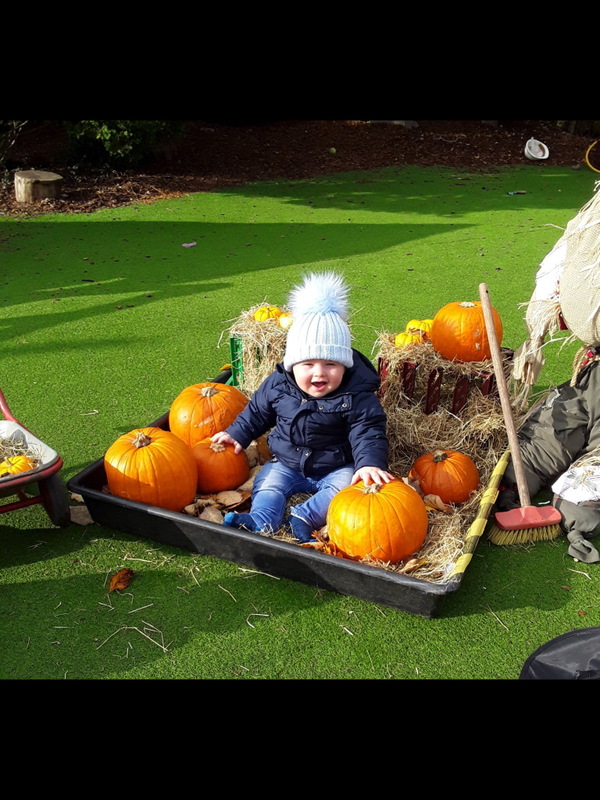 The garden was specifically designed to meet the needs of children, providing endless opportunities for children to delve in to the garden and explore the different textures and scents of the plants and shrubs, which are all safe to explore. 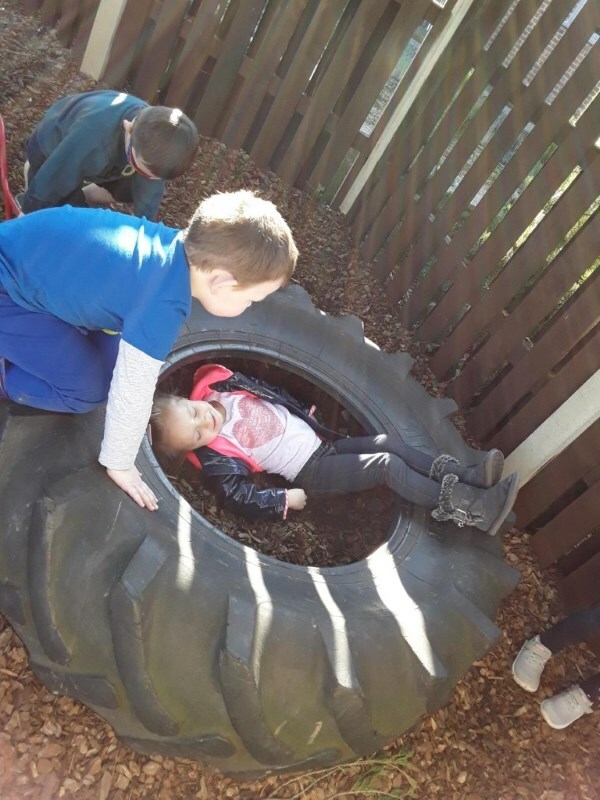 Learning outside supports the development of healthy and active lifestyles by offering children opportunities for physical activity, freedom and movement, and promoting a sense of well-being. 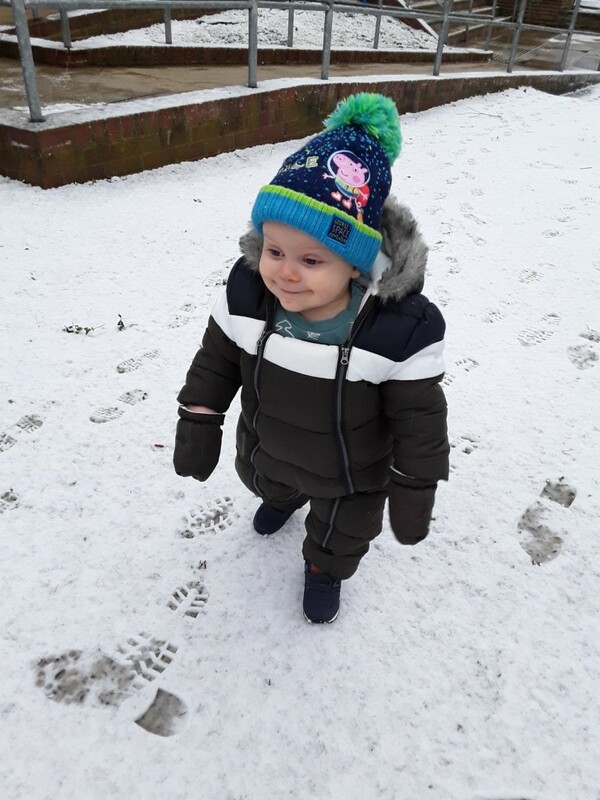 Learning outside gives children contact with the natural world and offers them experiences that are unique to outdoors, such as direct contact with the weather and the seasons. 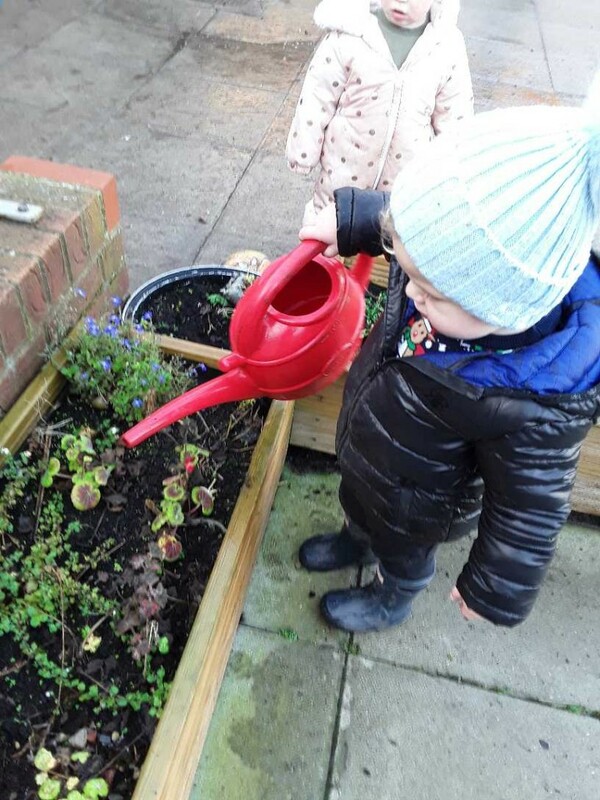 Playing and learning outside also helps children to understand and respect nature, the environment and the interdependence of humans, animals, plants, and lifecycles. 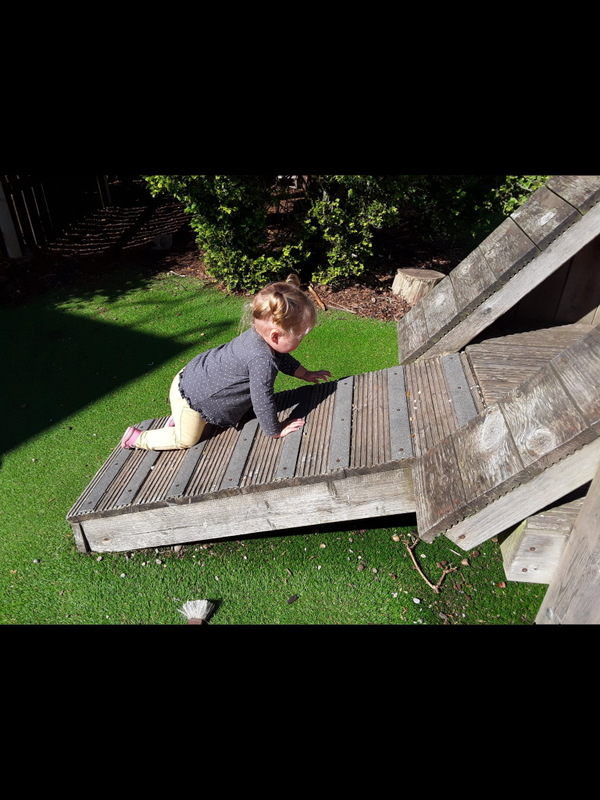 Outdoor play also supports children’s problem-solving skills and nurtures their creativity, as well as providing rich opportunities for their developing imagination, inventiveness and resourcefulness. 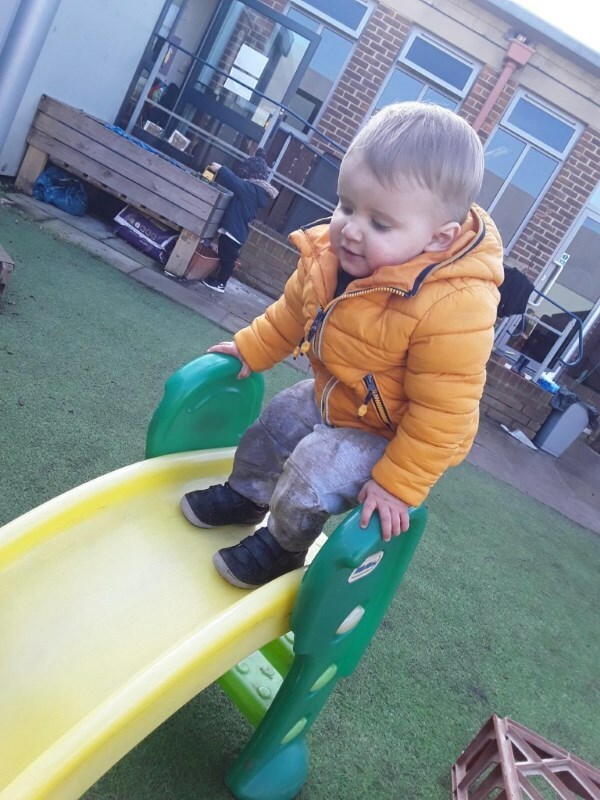 For many children, playing outdoors gives opportunities to play safely and freely while they learn to assess risk and develop the skills to manage new situations.